B&E Event Show attendees get new headshots! 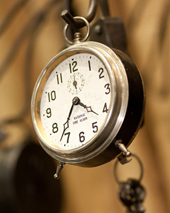 Is it time….Take a look at your current LinkedIn, facebook and website profiles. What does your photo really say about you and your business…we can provide you with professional photos to promote your business and yourself in a most profitable way. About 40 business men and women stopped by the Event Photos NW booth for an updated headshot. Click here to download your photo. If you haven’t already let us capture your next professional image for social media, newsletters, press releases and blogging too!